Hi! As my hair gets longer & longer, I am constantly reaching for bobby pins to hold it back. Today, Sarah of Shop Lovely Jane and I teamed up to provide one of my followers with a pair of fabric flower hairpins. They are great for adding a little dose of pretty to your hair. Shop Lovely Jane has the best elegant hair accessories. Sarah stocks her shop with headbands, hairpins, jewelry, snap clips & hair ties. Another great thing about her shop? Everything is $20 or less and she ships worldwide! Alright, now onto the giveaway. 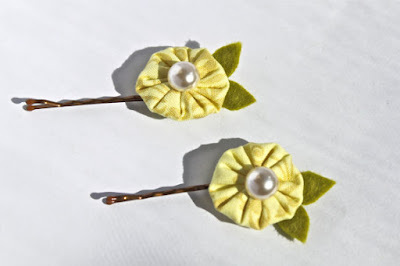 You can win a pair of fabric flower hairpins like these. All you have to do to enter is follow my blog with GFC and leave a comment with your favorite item in your shop. You enter the giveaway using the rafflecopter app. Giveaway will run until 5/10. Open worldwide! What are you waiting for? Enter away! Hi! I love my new top from Oasap; it is such a romantic, delicate top! Today, I paired it with a black pleated skirt, black strappy heels and a DIY blackberry headband for simple, dainty look. Guess what- I got selected as an option for Forgive and Forget's tumblr blog of the week! It would mean the world to mean if you would vote for me at the top of the page HERE. If you vote for me, send me a message via tumblr & I will follow you and/or promote you later this week. I really hope that I will be the BOTW. Oh and HERE is the link to my tumblr. Thanks! Hi! Earlier this week, I receieved a package from Giant Vintage Sunglasses. They sent me four pairs of sunglasses to review- red heart sunglasses, white heart sunglasses, black cat eye sunglasses & a classic pair of black sunglasses. I opened up the package and was thrilled with what I saw! Giant Vintage had snuck in some tootsie rolls & Giant Vintage stickers with my package- talk about good customer service! As I dug my sunglasses out, I was very pleased- all the sunglasses are extremely good quality and incredibly pretty. Today, I chose to wear the red heart sunglasses. I went for an all- American retro vibe by adding cuffed denim shorts, a black button down, an American flag tote bag, gray Converse and my spiked ring from Rings & Tings. I can tell that these sunglasses will be snatched out of my wardrobe whenever they match my outfit. 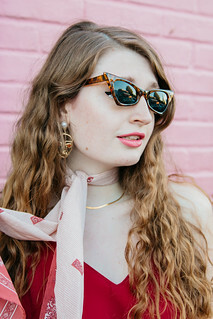 I would definitely reccommend checking out Giant Vintage Sunglasses. I am also wearing my spiked ring sent to me by Rings & Tings. Rings & Tings sells trendy jewelry for an amount that won't drain your bank account. Even if you don't plan on ordering anything, their site is really fun to look at! Their jewelry is not at all plain jane jewelry and it's fun seeing all of their unique pieces. Check out Rings & Tings HERE. Hi! Today I chose to wear one of my favorite dresses from Urban Outfitters. I styled it with a vintage lace collar-shawl thing, floral headband, socks&oxfords combo, a masculine watch and gold skull earrings. I recently received these earrings (for free) from Rings & Tings. You can't see them very well in the photos but they are stunning! Definitely a wardrobe staple. They have the ability to add an edge to pretty much any outfit. If you like affordable, trendy jewelry, check out their shop HERE. They also sent me a spiked ring which is infinitely cool. I am planning on wearing it this weekend and will have a close-up shot of it. Anyways, I am very glad that it is officially the weekend; this week has been extremely long and busy! AP testing is in a few weeks as are SOLs and teachers are stressing over teaching us all that we need to know. At least school will be out in a little less than 2 months. Summer can't some soon enough! Hi! Today, I styled my outfit around this lovely necklace kindly sent to me to review from Katie of Poor Sparrow. Poor Sparrow sells vintage and hand made jewelry. Katie stocks her shop with everything from rings to earrings to bracelets to necklaces! I've fallen in love with her shop of bohemian jewelry. One of my favorite listings of hers is the "Western Rings". For $6+shipping, she will send you four of the most adorable Western rings. Definitely on my wishlist! Her Deco Earrings , $14+shipping, also have me falling head over heels. I received the amethyst crystal necklace. Retail value: $26+shipping. This necklace was actually on my spring 2012 lust list! It is such a versatile piece; I can think of numerous ways to wear it! 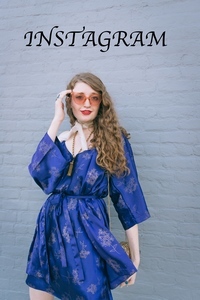 With skinny jeans and a black blazer for a polished look, with a patterned spring dress and an envelope clutch for a trendy look or even with a simple outfit of denim shorts and a button down for summer. I was delighted when I received the package; the necklace is exactly what I had dreamt of! To top it all off, the necklace came in the cutest little package; it is always a big plus when an etsy shop includes a thoughtful note or adorable wrapping to the order. I would most definitely recommend Poor Sparrow; excellent customer service, great quality, affordable prices and the best bohemian jewelry! Hi! Today, my family and I traveled up to Pennsylvania to tour Philadelphia University; I love it! The campus is beautiful, the food is delicious, the location is ideal and they even work hard to promote environmental protection! It is definitely my top choice at the moment. Hi! I put together a mix of vintage, leopard print and my fave oxfords to create an ethereal, spring look. Hi! 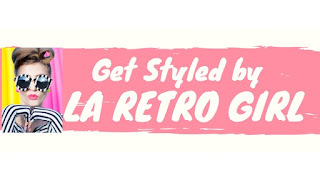 I am delighted to announce that the winner of my vintage goodies giveaway is Gloria of Discover Captivating! Congrats, I just sent you an email. To those who didn't win, keep your eyes open for more giveaways on my blog. When I reach 300 followers on google or 100 fans on lookbook, I will be hosting a giveaway for a free pair of shorts from my shop. So spread the word!